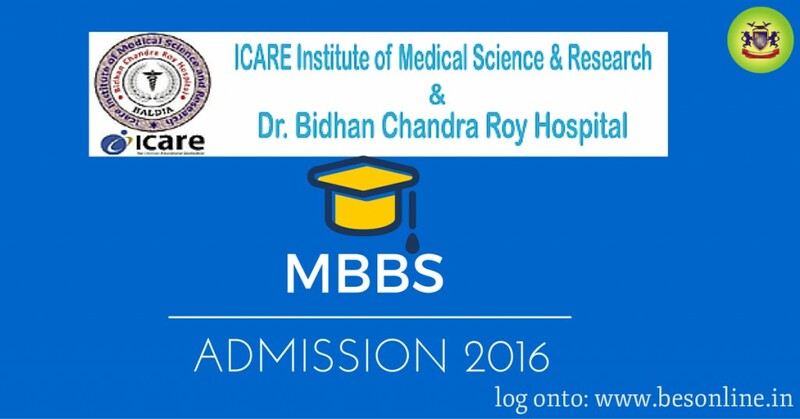 ICare Institute of Medical Science and Research and Dr. Bidhan Chandra Roy Hospital, Haldia has opened its doors for the admission session 2016. Here is the complete information set for prospective students. Icare Institute is authorised by Medical Council of India (MCI) to conduct courses and is affilated to The West Bengal University of Health Sciences, Kolkata. Last year the institute was authorised to admit 100 MBBS students by the Medical Council of India. The admission test was held for 67 seats under Management Quota. For the academic session 2016 this is expected to be the same. We will be updating it here on our blog in case of any changes. 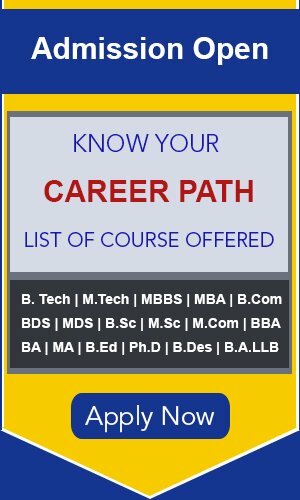 The minimum eligibility criteria is for admission in ICare Institute MBBS is 12th from a recognized board with at least 50 percent marks in Biology, Chemistry and Physics combined. The candidate must also have passed in English. The minimum age to get admission is 17 or or before 31st December of that particular academic year. The admission form and instructions will be available from college admission cell in the last week of June, 2016. The exact dates will be announced soon and will be updated here. The date of submission of the filled up application form will be in mid August. You can send the form by post and deliver it in person. The admit card will be distributed shortly after that at the campus itself. The entrance exam for ICare Medical college will be held in the last week of August, 2016. The test will be conducted in the college campus. The syllabus will be updated soon, will watch this space or contact Bright Educational Services. The fee for ICare Medical College MBBS program, 2016 is likely to be similar to last year. Here is the last years fee details for your reference. a Admission Fee Rs 50,000 All Payment needs to be made through DD in favour of ‘IIMSAR & DR. BCRHH’ payable at Haldia. PIN – 721 645, Haldia, Purba Medinipur (W.B) India. Bright Educational Services, Siliguri provides in-depth counselling on cracking the MBBS code. For detailed enquiry call us now at 9564733330.